The Dutch Dolphinarium Harderwijk has a long history with SeaWorld, providing them with a way around the US ban on importing wild caught killer whales. In June 2010, Morgan was found underweight and malnourished in the Wadden Sea. The park was issued a "rehabilitation and release permit" and hurried to capture and move her to their commercial facility. Morgan would never see the sea again. 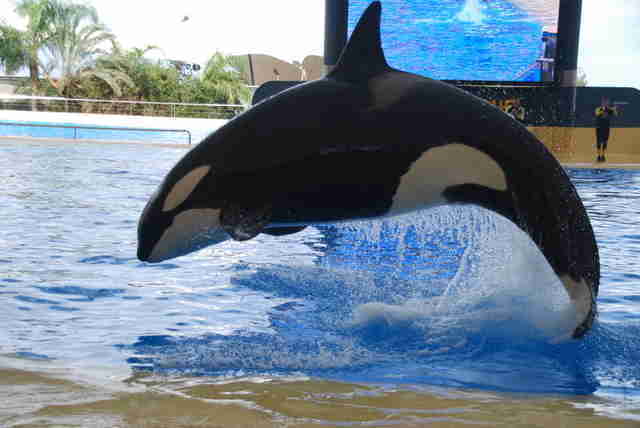 On Nov. 29, 2011, Morgan was shipped to Loro Parque in Spain to be part of SeaWorld's breeding program. How could the European and Dutch law fail Morgan and allow for this capture and move? "It is also very apparent that they are in no way attempting to facilitate any efforts to find her family or return her to her native waters of Norway, but are actively hindering them." "Two orcas were seen by the Norwegian coast. It was never certain if they were her relatives. Nobody knows where they are now, and we had no guarantees Morgan would ever be accepted by this group - we don't even know why or how she left or was separated from them." Apparently, the dolphinarium would only release Morgan if success was guaranteed without ever giving the animals a chance, completely ignoring the detailed release plan that considered all possible outcomes and provided solutions for those scenarios. 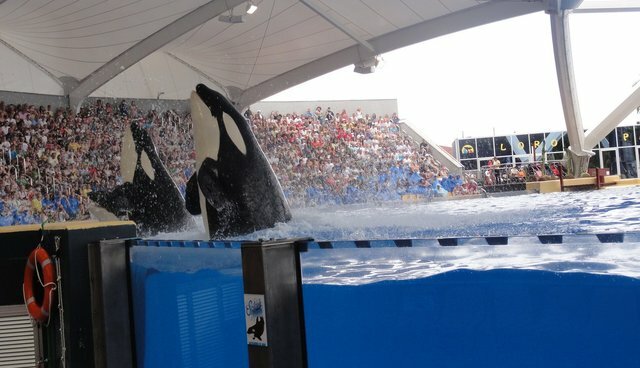 They knew nothing about Morgan or her pod when they promised to release her in order to obtain the permit; they actively hindered those searching for her family and when the time came to release her, they decided a collection of mostly hybrid orcas bred by SeaWorld would provide a closer family for Morgan than her located P-pod relatives. Since captive animals have no choice, success is guaranteed. In the wild, pods have the choice to adopt a lone orca; in captivity they're simply stuck in a tank together. How is it a commercial theme park is allowed to act as a non-profit rescue organization and can legally ship wild animals to another theme park? Because under the Dutch (and EU) Zoo Directive law, the parks are not considered theme parks but zoos and as such are not considered to be primarily commercial, but educational. The permit to ship Morgan to Loro Parque was issued because the law states both parks are educational facilities and Morgan would therefor not primarily be used for commercial purposes but rather for education and research. The research team has produced a report that will be used in court as the basis of a lawsuit against the animal rights activists. Morgan is used for shows and funded research to proof activists wrong and the behavior of the animals is completely natural. There is nothing natural about a collection of mostly hybrid breeding orcas, led by a matriarch (Kohana) who doesn't know how to lead a pod because she never had a chance to learn. Kohana is only 12-years old; wild orcas usually don't have calves until they're around 17, 18-years old and would not be leading a pod at such a young age or be separated from their mother and "birth-pod." The only way to prevent another orca ending up like Morgan, and protecting the captive cetaceans in The Netherlands and the EU is by changing the laws. Under the current Zoo Directive, marine parks have a carte blanche to use these animals for commercial purposes and use funded research to further their own agendas, simply because the law states their activities are not primarily commercial - even if, in reality, they are.